The third edition of the Casino Admiral Trophy will be held March 23 to 29, 2020. 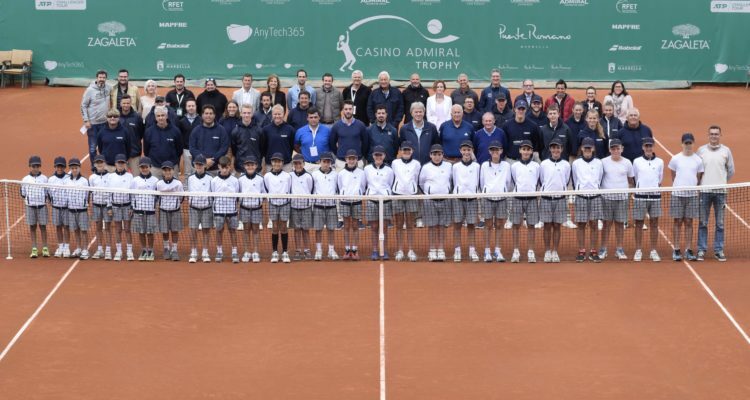 The second edition of the Casino Admiral Trophy has surpassed with excellent note the supervision of the representatives of the ATP. This was announced by the orgainzers of the €46,600 ATP Challenger clay-court event, which was held the last week of March at the Puente Romano Tenis Club in Marbella, Spain. Tournament director Ronald Leitgeb has received the conclusion of the annual report that gives the event high marks. “It’s great news and encourages us to continue to work hard in order to even improve in the future,” Leitgeb states in a press release. This year’s edition was won by No. 2 seeded Spaniard Pablo Andújar, who beat top-ranked Benoit Paire of France in the final. The 33-year-old from Cuenca continued his winning streak by lilfting the trophy in Alicante the following and made it into the final of the Grand Prix Hassan II ATP-Tour event in Marrakech. The next edition of the ATP Challenger in Marbella is set to take place from March 23 to 29, 2020. This entry was posted in ATP Challenger Marbella, ATP Challenger Tour and tagged ATP Challenger Tour, Casino Admiral Trophy, Marbella.